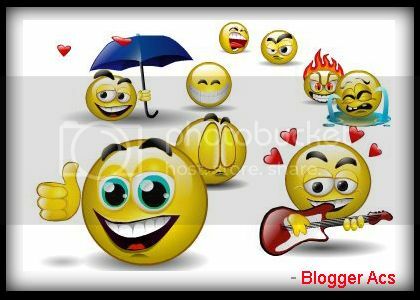 In this Post I will help you to add Yahoo Smileys ( images ) to blogger posts . you might have noticed in many wordpress blogs there will atleast one Yahoo smileys . As we know expressions speaks more than words , with a single yahoo smiley we can express our mood. In wordpress this feature is build in. But unfortunately blogger doesn't have this feature :( .But here is an easy trick to add yahoo smileys to your blogger posts . if you just type the codes given below you will get yahoo smileys for that simple letters. :z you will get :z . Just Follow this steps to add Yahoo Smileys feature to your blog. that's it , here after whenever you write blog posts just add this yahoo smiley codes . For this simple letter codes you can see beautiful yahoo smileys . troubleshooting : You Must give space before writing yahoo smileys code . That's it we have added yahoo smileys code to our blogger blog :~ . See you soon with a new blogger hack.